Wed., Nov. 4, 2015, 2:19 p.m.
Councilwoman Karen Stratton has a lead of more than 1,000 votes over challenger Evan Verduin after Tuesday night's ballot count. She owes that lead to out polling him in the heart of the district, from the near north side and West Central to the precincts west of Division and south of Francis. 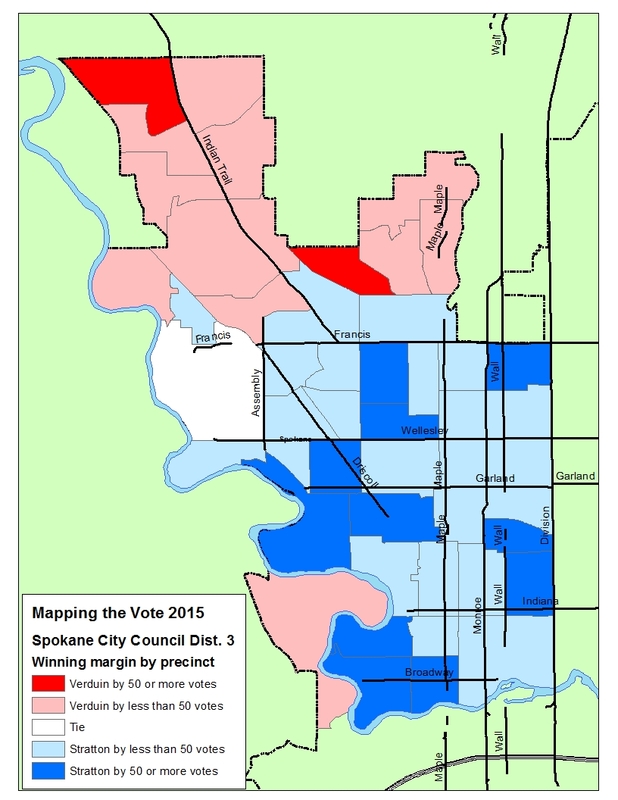 Verduin did best in the Northwest precincts and areas along the Spokane River.